Dinesh Karthik has beaten Rishabh Pant in the race to the second wicket-keeper in the Indian team for the upcoming World Cup in England and Wales. The five wise men of Indian cricket, led by MSK Prasad, met in Mumbai on Monday and picked the 15-member squad. Vijay Shankar goes to the showpiece event as the number four batsman and Ravindra Jadeja has been picked as the third spinner ahead of a fourth pacer. KL Rahul joins in as the back-up opener. 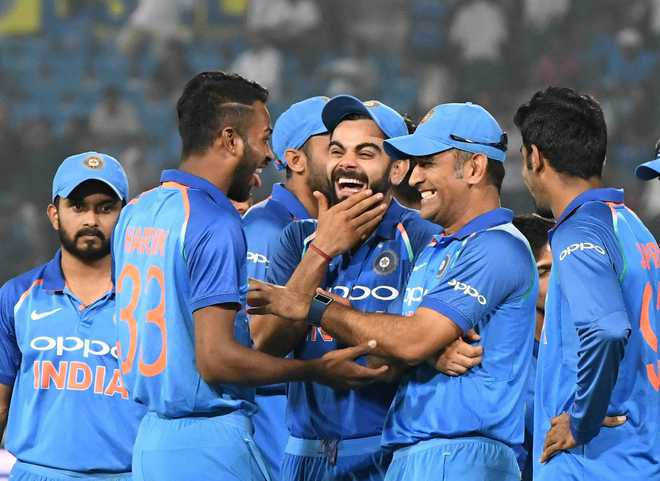 While skipper Virat Kohli, Rohit Sharma, Shikhar Dhawan, MS Dhoni, Kedar Jadhav, Hardik Pandya, Kuldeep Yadav, Yuzvendra Chahal, Bhuvneshwar Kumar, Mohammed Shami and Jasprit Bumrah picked themselves on the back of some consistent show in recent times, there were three main areas of concern that the selectors needed to take a call on. The current Indian team management and selectors have often spoken about continuity and that is exactly what they have done with regard to the team for the World Cup. Having tried Shankar at the top, they have backed him in the squad. The fact that Shankar continued to bat at number three or four in this edition of the IPL for the Sunrisers Hyderabad was another hint that the team management had asked him to settle down to the idea of batting at the top. Pandya, having missed the series against Australia is back and fits in as the all-rounder who will also be looked at as the finisher.